Chittagong Range comprises 11 districts: Chittagong, Comilla, Feni, Chandpur, Brahmonbaria, Noakhali, Laximpur, Coxs Bazar, Rangamati, Bandarban and Khagrasori. Chittagong, established in 1666 including three hill districts, is one of the oldest and biggest districts in Bangladesh with an area of 5157 sq km. It has 14 upazilas, 16 police stations, 04 circles, 08 investigation centers, 08 police outposts, 01 permanent police camp, 15 temporary Police camps. A proactive, public-oriented solution-based community policing strategy gave a fruitful result in maintaining law and order situation. Chittagong district police administration is divided into four circles. 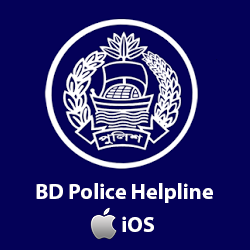 It has 16 police stations: Mirershorai, Sitakondo, Sandip, Fatikshori, Vuspur, Hathajari, Raojan, Rangunia, Patia, Boalkhali, Chondonaish, Anwaara, Bashkhali, Satkania, Lohagora and Zorargonj. This district was established as Tripura district in 1790. It was renamed Comilla in 1960. Comilla is a district of Bangladesh located about 100 kilometers south-east of Dhaka. Comilla district police has a rich history in terms of serving the people. It has been operational for a long time and with time has gained quite a legacy. Munshi Kabiruddin, the suprintendent of Comilla district police in 1971, along with his RI Abdul Halim and his son Mukul and Bakul are recognized to be the first martyrs of the war for independence. It is one of the most densely populated districts in the country and in order to cover all the regions in the district, the district police has divided itself into 16 police stations. The police stations are Kotowali model, Sadar dakkhin, Daudkandi model, Chandina, Muradnagar, Choddogram, Debiddar, Burichang, Laksham, Nangolkot, Borura, Bipara, Homna, Titas, Monohorganj and Meghna. Five of these stations are in regions that are located near the Bangladesh-India border. 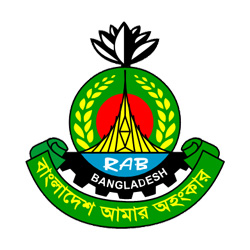 The eastern wing of Bangladesh highway police is located in Comilla, which has the responsibility of protecting vehicles and travelers from highway robbery. They also monitor the highway for any speeding vehicles that might pose mortal danger for unsuspecting travelers. The district of Feni was established in 1984. It is a small south-eastern district of Bangladesh bordering Tripura in India, Chittagong district, the Bay of Bangal, Noakhali district & Comilla district. The main highway of Bangladesh, Dhaka-Chittagong interdistrict highway passes through here. It is the only connecting link between the rest of the country and the districts of Chittagong, Cox’s Bazar and three hill districts: Rangamati, Bandaraban and Khagrachari. Feni district police was established in 1984. Mr. Md. Rahmat Jahan Sikder was the first SP of Feni district. Feni district police comprises of 6 police stations, 1 town outpost, 1immigration check post and 3 investigation centers. The police stations are Feni model, Dhagonbhuiyan, Sonagazi, Sagolnaiyan, Fulgazi and Porshuram. Among the 6 police stations Feni Sadar & Sonagazi police station has been upgraded as model thana under PRP. Beside this, Porshuram has been upgraded as model thana under JICA. Chandpur subdivision was established in 1878 and was included in Tripura district. It was turned into a district in 1984. It’s an east-central district, located under the Chittagong division. It is a conflux of two major rivers, the Padma river and the Meghna river. As a result, waterways are one of the most popular transportation medium for this district, especially when it comes to commercial item transportation. It has 08 police stations: Chandpur, Hazigonj, Motlob north, Motlob south, Sharasthi, Kochua, Faridganj and Haimchar under 02 circles. Due to the proximity of two main rivers, the river division of Chandpur Police needs to be always on alert. They are responsible for providing security to the launches in the river and prevent smuggling. Brahmanbaria, situated on the eastern part of the country covering a total area of 1927.11 sqkm, is being administered by Chittagong Division. It is made up of 4 municipalities, 39 wards, 100 unions/councils and 1392 villages. 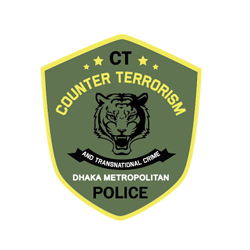 The district police force falls under the Chittagong Range. Brahmanbaria district police has 02 circles, 9 police stations, 4 outposts, 4 police camps, 2 police investigation centres and 1 river out post. It is divided into six operational wings headed by a Superintendent of Police (SP) aided by an Additional SP and Assistant Superintendent of Police (ASPs). The six wings are : Crime and Operation wings, Detective Branch, Traffic division, DSB, River division and Court. The police stations are Brahminbaria sadar, Ashuganj, Shorail, Nasirnagar, Nabinagar, Bancharampur, Kosba, Akhaora and Bijoynagar. The name of Noakhali district was derived in 1660 from two ancient words -Noa which means new and Khali that means cannel or a new cannel. During Mughal Empire a new cannel was dug to save Bhulua area from flashflood and later, Bhulua turned into Noakhali with an area of 3,610 sq km. Bhulua became a district in 1822 and later in 1868, Bhulua turned into Noakhali officially. Noakhali district police administration is divided into two circles. It has 9 police stations -Shudharam, Companyganj, Hatia, Charjabbar, Kabirhut, Begumganj, Chatkhil, Sunaimuri and Senbag; 3 investigation centers, 6 police outposts and 6 temporary police camp. Rangamati, the largest district of the country, is situated on the south-eastern part of Bangladesh at the bordering areas with India. The district is a part of Chittagong Hill Tracts under Chittagong division. The district is renowned for the lash vegetation and scenic beauty of nature under 6116.13 sq km area. It was recognized as a district in 1983 having 12 police stations - Kotowali, Kaptai, Kowkhali, Rajasthali, Bilaichhari, Langadu, Naniarchar, Juraichhari, Barkal, Baghaichhari, Chandroghona and Sazek. Different ethnic community eg, Chakma, Marma, Tanchangya, Tripura, Pankua, Lushai and Khiang are living together with bangalees. A number of places in the district like Kaptai lake, Hanging bridge, Tribal museum, Suvolong fountain etc. attract tourists from both home and abroad. Rangamati district police administration is divided into 03 circles. Bandarban was established as a separate district on 18 April 1981 combining two sub divisions Bandarban and Lama, which are surrounded by Myanmar in south and east, Rangamati in north, Cox’sbazar and Chittagong in west. Covering an area of 4,479 sqkm, the district is a part of the Chittagong Hill Tracts. The three highest peak of Bangladesh -- Tahjindong (1280 meters in height and also known as bijoy), Mowdok Mual (1,052 m), and Keokradong (1230 m) -- are located in this district. Bandarban Sadar, Thanchi, Lama, Naikhongchhari, Ali kadam, Rowangchhari, and Ruma are the administrative sub-districts of Bandarban. Beside the Bangalees, eleven ethnic minorities live in the district. The district has 7 police stations, 2 police investigation centres, 7 police outposts, 11 police camps. The police stations are Bandarban sadar, Royansori, Ruma, Thanchi, Lama, Alikadom and Nayikhonsori. Laxmipur is a small district situated on the south east part of Bangladesh embrasing bay of Bengal in its south. It is under Chittagong Division. The district situated in between Chandpur, Noakhali, Bhola and Barisal district. In fact small rivers and canals like Dakatia, Rahmatkhali, Wapda canal are flourishing the district with the river Meghna. Laxmipur district police started its journey on 28th February 1984. Laxmipur district police is comprised of 5 police station (Laxmipur sador, Raipur, Ramgonj, Ramgoti, Kamalnagar) 4 police Investigation centres and 5 police fari. The district is comprised of total area of 1440 square kilometres having 4 Municipalities, 58 Unions councils, 455 Mouzas and 547 villages with its population about 17,29,188. Situated by the Bay of Bengal, Coxs Bazar district was constituted in 1984 with 8 upazilas. The largest unbroken sandy sea beach (of 125 km) of the world is located in this district, which is situated around 150 km south of Chittagong.Apart from the sea beach in the district it has many other tourist spots including Bangabandhu Sheikh Mujib Safari Park Saint Martins, Ramu and Kutubdia islands. 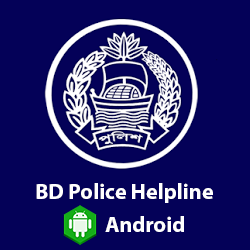 Coxsbazar district police administration is divided into two circles. It has 08police stations: Coxsbazar, Chokoria, Moheshkhali, Kotubdia, Ramu, Ukhia, Technaf and Pekua,02 investigation centers, 09 police outposts. Khagrasori district police force started it policing activities in 1984 with 8 police stations and 5 outposts taking a view of ensuring law and order situation in the district. The district police force is serving with 9 police stations, 6 outposts, 6 police camps and one investigation centre. The police stations are Khagrasori sadar, Dighinala, Pansori, Mohalsori, Matiranga, Ghuimara, Ramgor, Maniksori, Laxmisori. The district police has set up Police Lines School to enlighten the district children with education.The district police headquarter is located at Kadamtali area under Sadar upazila. Apart from maintaining law and order in the locality, the district police force keeps vigil against arms smuggling and drug-trafficking.